Living in Arizona has given me great pleasure because in Yuma, zone 10a I can grow my vegetables that other places can’t grow until spring has arrived. USDA Hardiness Zone Finder find your location of what to grow right now. 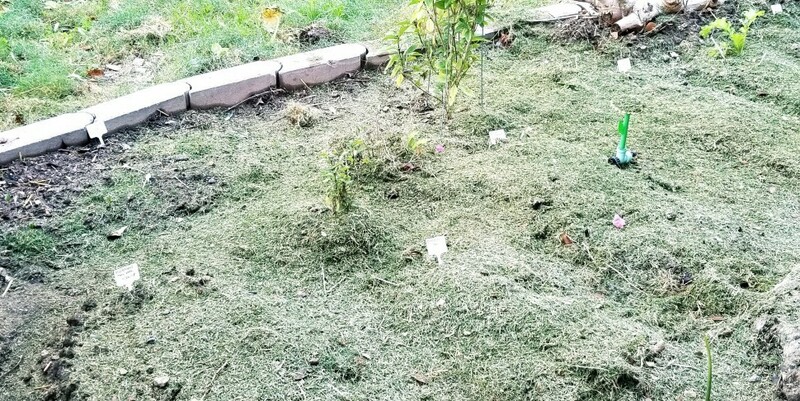 What to plant in December in Arizona zone 10a in Yuma? It’s true I can grow my favorite vegetable year round. While the scared of not eating romaine lettuce because of the E-coli breakout since last year. People are still too afraid to buy them at the grocery store. However, if you grow your own then you wouldn’t be so frightened to eat some. These are some stuff you’ll need for gardening. Although we don’t have a flown blown winter season because nothing is below 40° F or 4.444° Celsius for the desert people it’s freezing for us. So gloves are a must for me. And protects me from creepy crawling things. Yikes! Always label your area for what things are growing where and when. Date it so you know how long it’s has been. If the seeds are not sprouting then you can reseed. There were many times I forgot to label my seeds from growing indoors and I have to wait until it sprouts to know what it was that I seeded. Let’s look at some fall-winter plants you can grow from seeds now. In my backyard garden, I have seeded Brussels sprouts, kale, mustard greens, and asparagus. The asparagus will take some time for harvesting but I am hopeful. It takes up to two years for a harvest. If you had been following me you know that I seed mustard greens and collard greens year round. I had covered it with fresh grass cuttings for fertilizing and protect them from the cold nights. I used mostly grass cutting as my fertilizer and mulching. Fresh cut grasses during the winter and dry up grass cuttings for the summer to protect the vegetables from the harsh sun. My spinach has already shown sign of sprouting. So excited! Some weird reason it’s taking the cilantro to come in this time. Good news though cilantro is part of my self-sustaining herbs. I have already got some volunteer growing elsewhere. Even if the one I seed are slow to sprout I have the other ones. My spearmint has already taken over its area. I will soon need to thin them out. If you let them grow they’re like weeds you must thin them out or cut the runners off. I seeded some balsam flowers another type of impatiens flowers to see if it’ll come up. I tried last year and it refuses to sprout as well as some California poppy. When choosing the carnations make sure it’s the perennials so it’ll grow back again when it’s time. They come in annual, perennial, and biennials varieties. I love the look of Paperwhite Narcissus but the smell is a little too much for me. I’ll just admire from a distance. I love the smell of freesia though. I planted several of them last year and they already come up. I’m just waiting for them to bloom. If you haven’t started on what to plant in December in Arizona zone 10a, Yuma then it is the right time to do so. This was all from my experienced and what I know will grow. Play with your experiments and let me know what works for you. I don’t plant everything I mentioned because I rarely use them it would be a waste to plant something that I don’t use over plants that I do use. This is a guide for those that would like to plant and don’t know what to During this time of year. Thanks for this article. It will come in handy for when my son and daughter in law buy a house in Houston. She’s not a gardener, so I said I’d do it! We live up in northern Canada, so it’s about zone 3. No winter planting up here, lol. Sometimes even our spring planting doesn’t work. Very disappointing! Your article gave me some great ideas for Texas though. I’ll be happily planting next year sometime. Hi, Suzanne sorry to hear about that but yes it’s great for Huston. We almost have the same weather, almost they are cooler. Thank you for stopping by! Hi, Sharon thanks for coming back. You can if you have a farm which I don’t. If you plant from seed it will take up to 3 years, however, if you plant the crowns it should be up and going in a year. Asparagus is expensive here as well. And once it starts it will last up to 25 years so yes it’s worth it.